Davis Repair Service - We are a Licensed Heating & Air Conditioning Contractor that performs heating and cooling installations, repairs, and maintenance on any type HVAC equipment. Our company cares about your indoor comfort. We are a Licensed Heating & Air Conditioning Contractor that performs heating and cooling installations, repairs, and maintenance on any type HVAC equipment. Our company cares about your indoor comfort. What ever existing brand heating and cooling equipment you have Davis Repair Service works with all distributors to install the correct factory recommended parts. YOU CAN FEEL ASSURED that not only will your HVAC equipment maintain comfort and efficiency, but it will be safe to use year around. DAVIS REPAIR SERVICE IS LICENSED BY THE NORTH CAROLINA STATE BOARD OF EXAMINERS FOR HEATING CONTRACTORS. SO OUR COMPANY IS QUALIFIED, INSURED, AND RECOGNIZED FOR IT'S HONEST, SAFE, AND AFFORDABLE SALES, SERVICE,AND INSTALLATIONS. JUST ASK US FOR REFRENCES. aLSO These are just some of the great companies tHAT ARE leading the heating and air conditioning industry AND WE USE THERE MATERIALS AND TOOLS EVERYDAY. We have made a commitment to bring quality honest service to communities throughout county areas surrounding the Crystal Coast. Our business also holds Environmental Protection Agency certifications for installing and removing refrigerant. Also known as "Freon". Rules and regulations are changing in this field for the betterment of the environment, which is why we stay up to date with the latest technologies and safety protocols. As our nation is moving towards becoming more energy efficient, so are we. 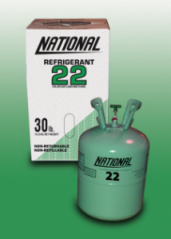 As the phase out of R-22 has begun with less production and higher costs for the widely used refrigerant. 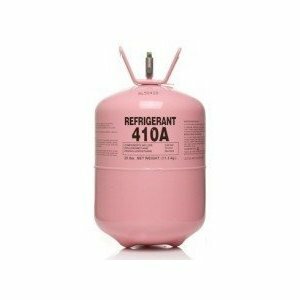 We highly recommend replacement of Heating and Cooling systems with higher energy efficiency that come precharged with the new environmentally friendly R-410a. Especially when the system is 15 to 20 years old. Definetly a wise decision when a costly repair would only become a "band-aid" on the problem and will not save you money. DAVIS REPAIR SERVICE also recommends to make your indoor air quality improved by installing a whole house air cleaner. Making the "cold season" seem obsolete by cleaning 99.8% of the air. Just like in the hospital clean rooms. These are just some of the major brands of heating and air conditioning systems we service and repair everyday.